I have done the lab work. I’ve conducted the study. Just… don’t, OK.
Now, yes; this is already obvious to those of you with brains who think things through, but for the rest of us… no. Do not try this at home. You will end up with coffee-colored water, and, more critically, YOU WILL HAVE WASTED TIME YOU COULD HAVE SPENT BREWING REAL COFFEE which means you’re delaying the caffeine infusion required to make good choices AS EVIDENCED BY THE COFFEE TRAINWRECK YOU JUST MADE. OK? Got it? Dear friends, learn from the ways I have failed. Honestly, on the scale of Kitchen Experiments, this one wasn’t the worst. I mean it wasn’t the time I put raw, frozen eggs in my bra to try to warm them enough to crack. (SPOILER: I warmed them up enough, and they cracked.  Mission accomplished.) But it wasn’t my brightest move, either. The rest of the day has gone swimmingly, though. I arrived 5 minutes early for a meeting today because I tried to be an hour early so I could sit in the coffee shop and get some work done first. Basically, I tricked myself into being on time for something, and now I want to try it every time, but I’m afraid I’m too smart for me and I’ll figure it out and wreck it next time. And… that’s literally all I’ve accomplished. My brain quit. Schadenfreude This isn't a real post. Yeah but are we there yet? You need to give yourself the “on time” trophy too! Friend. This is why God made Keurig. PPS: I’ve tried tricking myself into being on time but still end up 5 minutes late. I think we’re related. Have I told you lately that I love you? Also, if you had just asked me, I could have told you about my own “research” with rebrewing coffee. Just NO. The house is a mess despite my constant washing of dishes and picking up of messes, and more so because 3 young adult males live with me AND a husband who cooks but doesn’t really clean AND the oldest son and his little family are here to visit… so YAY! Baby snuggles and three-year-old giggles, but also more messes. Perhaps someday I’ll write up a new blog post, too. PS: Taking my meds… check! 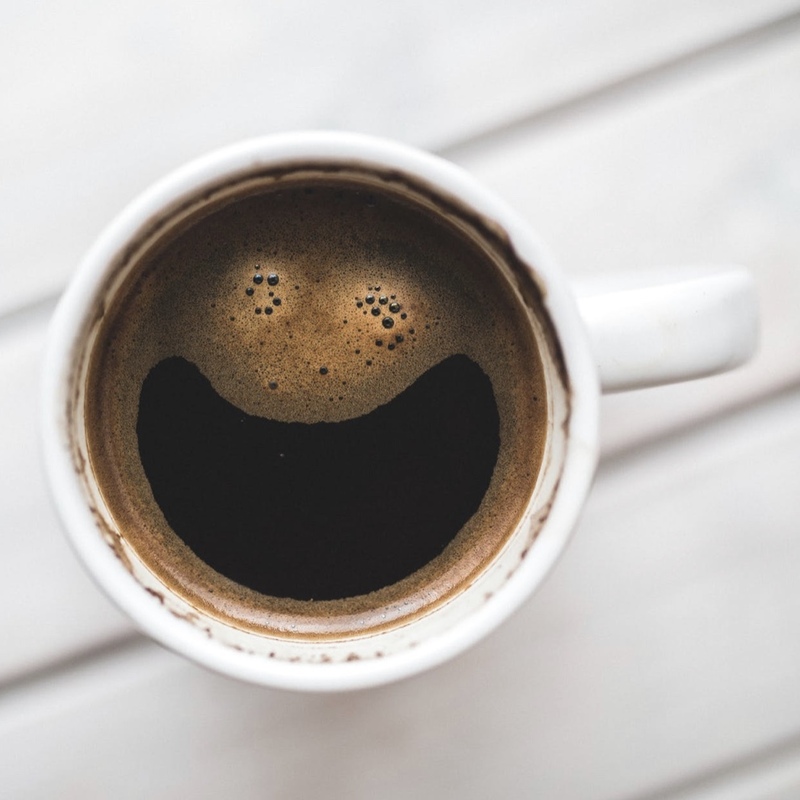 I thought this was going to be a post about how happy coffee makes you (I guess it kind of is?) because the cup of sludge you brewed looks like a happy face to me. I was impressed and thought you did it on purpose! Happy coffees for all! You go the order wrong: First you REMADE coffee, then you MADE coffee. Also, this post makes me super sad because a couple months ago my mouth rebelled against coffee and now I get huge mouth sores if I have even a sip. Sigh. But the good news is this post reminded me I need to go take my meds. Trophy please! Oh. My. Gawd. You absolutely have me in stitches with this one! I love your ability to keep things so incredibly real and with humor, to boot! Yes to this ^ every time I figure out my clock is ahead by a few minutes, put a calendar reminder in for an earlier than scheduled time or attempt to make time for an errand on the way somewhere. Running all day resulting in not doing what you SHOULD be doing? Check. I think you’re right, invisible aliens have us as their hamster pets and should DEF clean our cages! I got things done yesterday, but not the things I should have. Alas, today is new. I’m starting it with an annual physical, so my belly is all kinds of raging. Get Dr appt? CHECK. 😛 That should be an award too.